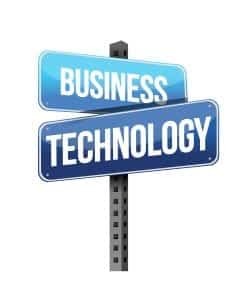 That introduction is typically followed by, “What is it that you really do?” Technology can be confusing and most businesses have a hard time aligning our services with their needs if they don’t understand what technologies we support. So let’s boil it down to what ‘we really do’ and how you can benefit. Professional Services – Designing, deploying & upgrading your IT infrastructure; the infrastructure is the foundation of your business information systems. If it’s built properly it will be flexible enough to support future technology upgrades and keep existing technology running smoothly. ProServ also provides a comprehensive security solution for email, mobility, connectivity and more to guard against today’s growing cyber threats and breaches. Managed Services – Outsourced daily management of your computer network; to maximize the level of productivity across an organization a network must be engineered, managed and serviced by experts who can ensure that vital operations, such as line of business applications, will continue to run efficiently and effectively. A regularly maintained network means fewer failures, savings on support costs and reduced exposure to security risks. Utility VoIP – Cloud based, voice over internet phone system with unified communication features; eliminates complex, expensive PBX hardware and software by hosting the PBX in the cloud. Uses cutting edge technology to ensure clear communications meeting quality of service standards. Flexible and scalable for businesses with one location, multiple locations or mobile workers all over the U.S. Easy to use online portal gives an administrator flexibility to make real time system or feature changes. Cloud Services – Secure, private corporate cloud with a dedicated, hosted environment; by using cloud computing, applications and services are no longer confined to individual workstations. You’ll gain more flexible access to your applications, services and data. A private cloud ensures security, scalability and meets industry compliance standards. Our cloud based backup and data recovery solutions, protect and store your data from threats while ensuring that data can be recovered quickly and meets compliance standards. All backed by our Ancero 24x7x365 Network Operations Center staffed with dedicated, skilled engineers, located within our office in Mount Laurel, NJ. So there you have it; what we really do is make your IT work, so you can go to work and not have to worry about IT! If you need a better backup solution, email security, cloud storage or looking to upgrade your phone system, give us a call and see how our solutions solve your business IT needs!